Stuttgart/Reutlingen – Health is our primary asset. In western industrialised countries in particular, a health-conscious lifestyle is gaining popularity - whether in terms of nutrition, leisure activity or mobility. The eBike is becoming an integral part of this lifestyle for many people. 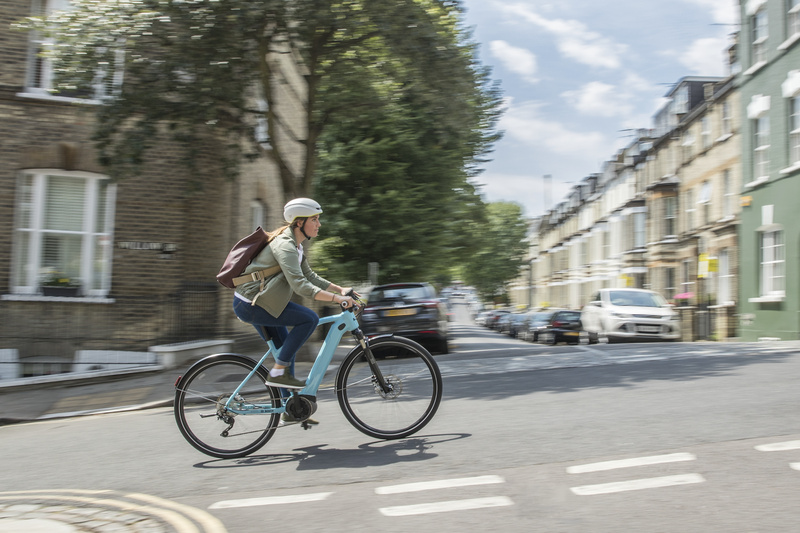 A market study by Bosch eBike Systems confirms this trend: For 38 percent of prospective eBike buyers, the pedelec plays a significant role in promoting their own fitness and health. Why is this? Bosch eBike Systems is using World Health Day as an opportunity to spread the word. Activity is the key to health. This is no secret. But in the hustle and bustle of everyday life, we often forget to take exercise and good intentions fall victim to a lack of time. However, exercise is something we should not shirk: The World Health Organization (WHO) recommends cycling for half an hour five times a week to prevent non communicable diseases. Because the combination of exercise and fresh air strengthens the immune system, fosters our concentration and reactions and helps us feel better in our bodies. 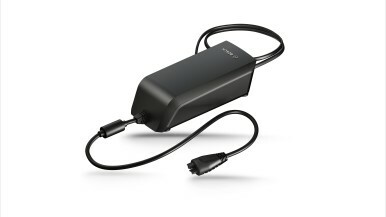 One advantage of eBikes over conventional bicycles is that the electrical support can be controlled according to need and individual fitness levels. This allows you to overcome obstacles such as extreme gradient increases, which can only be mastered with great effort on an ordinary bike, or by getting off and pushing. Initial small successes are quickly achieved. This has an encouraging effect. People then use their sporting bike more frequently. An experiment conducted in Norway involving 66 people selected at random shows that participants increased their daily eBike rides from 0.9 to 1.4 rides per day over a five-month period. The distances covered increased from 4.8 to 10.3 kilometres. The proportion of eBike usage in terms of the total usage of transport vehicles increased from 28 to 48 percent. "The eBike enables regular exercise to be effortlessly incorporated into everyday life. 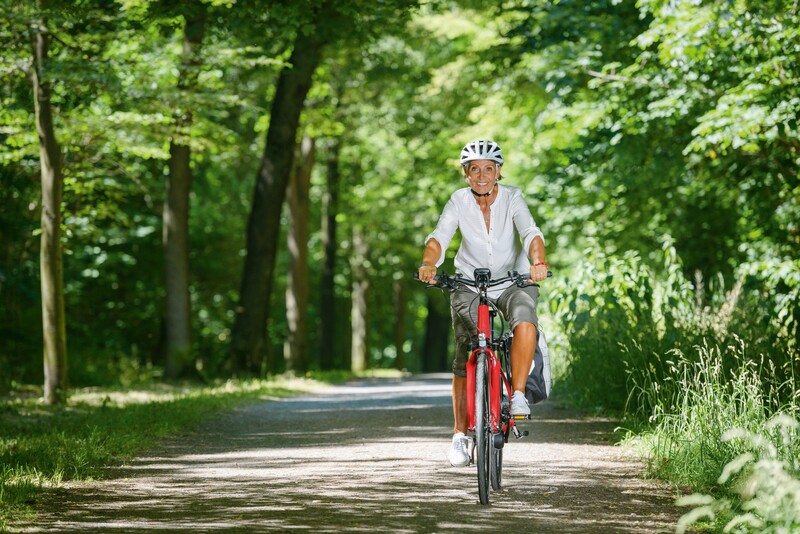 eBiking keeps you fit and healthy, while also helping to reduce pollutant emissions. Thus, the pedelec achieves more positive effects than any other means of transport. 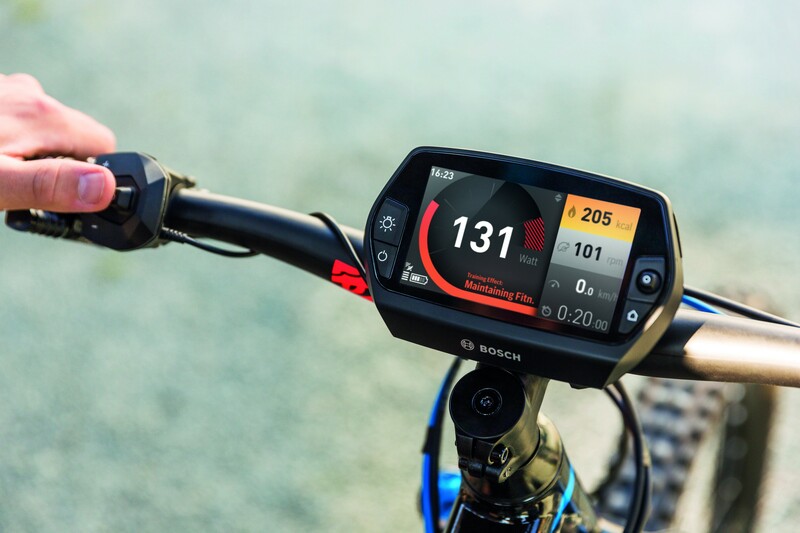 That's why we want to get as many people as possible excited about eBiking,” says Tamara Winograd, Director Marketing and Communications Bosch eBike Systems. People who regularly ride a bicycle or eBike improve their fitness and stay mobile and independent for longer. According to the WHO, regular exercise reduces risks such as obesity, cardiovascular disease, osteoporosis, back pain, as well as colon and breast cancer. 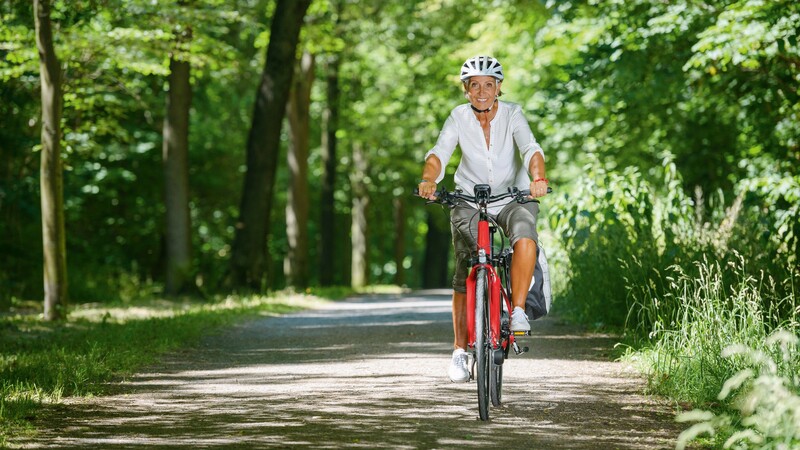 In addition, studies show the positive effects of cycling on mental health and well-being, as well as the lungs, cardiovascular system, lipometabolism, joints and muscles. Thus, the efficiency of the heart and lungs are promoted and the joints and muscles are gently strengthened. High blood pressure can be lowered through regular cycling. 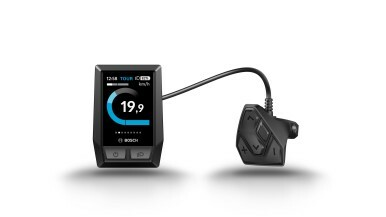 eBike on-board computers, such as Nyon from Bosch, are an ideal way to monitor fitness levels and to identify and analyse exercise successes. The on-board computer informs you of all relevant fitness and health data in real time. Using a heart rate chest strap sensor can also ensure that you maintain the right pulse rate range while exercising. As the market survey by Bosch shows, eBikes prove their versatility in their application: For every second prospective eBike buyer, the use of the pedelec as a means of transport in leisure time plays a central role, while special excursions and bike tours (40 percent) rank second. For every third prospective buyer, the use of eBikes for commuting purposes is key. A 2017 study conducted by Concordia University in Canada illustrates how stress can be reduced by using a bicycle to commute. The researchers studied 123 employees of an IT company in Old Montreal. Those who cycled to work showed significantly lower stress levels in the first 45 minutes of the working day than employees who came by car. 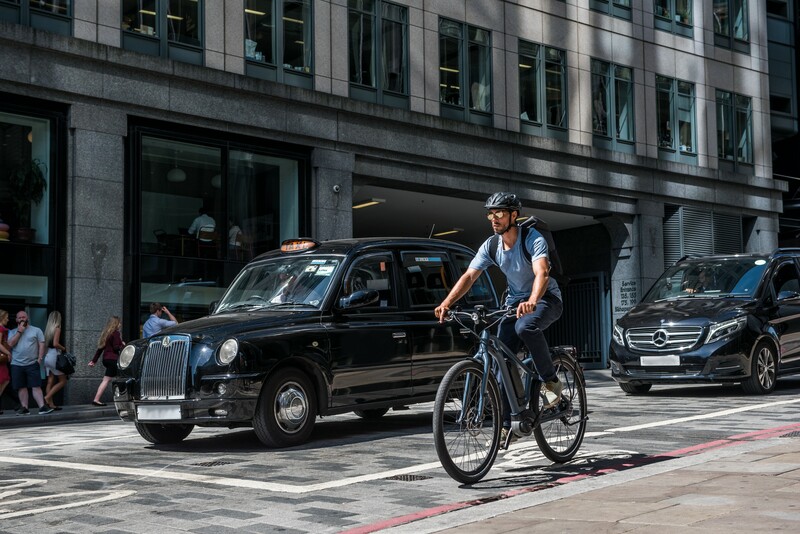 Moreover, workers who cycle to work all year round are on average absent due to illness for two days a year less than car and public transport users. This was shown by a study by EcoLibro GmbH and the Goethe University, Frankfurt am Main. "Active commuting" also has a positive effect on the Body Mass Index (BMI): Year-round cyclists have an average BMI of 24, while that of motorists is 26.